Situated in beautiful Western Minnesota, Fergus Falls is the county seat of Otter Tail County and one of the state’s finest cities. They challenge and invite visitors to “Find Us, Lose Yourself.” Fergus Falls offers easy access to nearby cities like Perham, Battle Lake, Detroit Lakes, and Alexandria and is less than an hour drive to the city of Fargo in neighboring North Dakota and only 2.5 hours away from Minneapolis. With 5 exits right off I-94 into the bustling community, Fergus Falls attracts many passing by tourists. Fergus Falls real estate is prized for its strong value and extensive selection. It consists primarily of quaint single-family homes and townhouses that boast excellent value with a wealth of property choices suitable for young professionals, families and retirees alike. The city is home to several neighborhoods that entice home buyers with gorgeous houses and pristine settings among the natural beauty of Western Minnesota. No matter which neighborhood you choose, Fergus Falls offers plenty of stately homes and picturesque settings. The city of Fergus Falls is served by the Fergus Falls Public School District, which is among the finest school districts in the state of Minnesota. Top public and private schools in the city include Adams, McKinley and Cleveland Elementary Schools, Morning Son Christian School, OLV Catholic School, Kennedy Secondary School and Hillcrest Lutheran Academy to name a few. Some of the many great preschools include the public school, Claire Ann Shover Nursery School, and Trinity School. In addition, Fergus Falls is proud of its incredible M State campus, a community and technical college with other campuses in Detroit Lakes, Wadena and Moorhead that has provided high-quality academic programs in health services and liberal arts for over 50 years. As a past student and current member of the Board of Directors for the Fergus Area College Foundation that offers more than $100,000 in scholarships, I can personally attest to the integrity, quality and rigor of this fine institution. Fergus Falls boasts a diverse and robust economy with plentiful employment opportunities in sectors such as education, healthcare, media, real estate and technology. 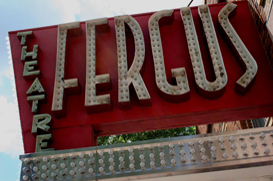 Located right off of Interstate 94, Fergus Falls is very skilled at attracting new businesses. Major employers in the city include Lake Region Healthcare, Otter Tail Power Company, County government and a wide array of businesses, banks and technology firms. A popular restaurant for coworkers, retirees and families to meet is The Viking Café. It is a local favorite for breakfast and serves home cooked meals. They even bring out the lutefisk for die hard Norwegians to enjoy. Attractions and sites of interest in the city of Fergus Falls include Lake Alice, the River Walk, the Central Lakes Trail, Pebble Lake Golf Course, I-94 Speedway, Maplewood State Park, and A Center for The Arts, a top-notch local performing arts and cultural venue that has entertained locals for decades.